Free Shipping Included! 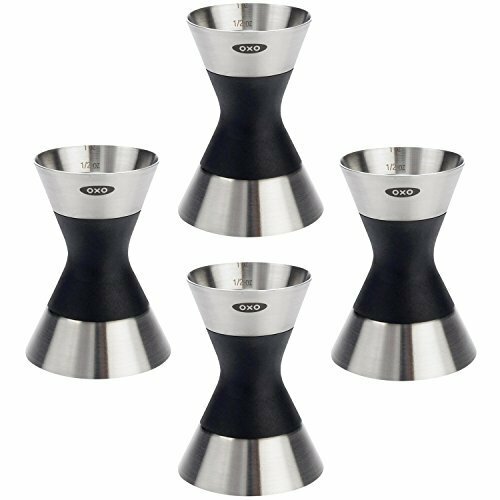 OXO SteeL Double Jigger, Set of 4 by OXO at Marion Street Deli & Pub. MPN: FBA_3105000. Hurry! Limited time offer. Offer valid only while supplies last. Add a measure of style with the OXO SteeL Double Jigger. One side measures a Jigger: 1-1/2-ounce capacity with 3/4-ounce and 1/3-ounce increments.